I first came across Edmund Rubbra's music in the early 1970s when the Grimsby Cleethorpes and District Youth Orchestra played one of his symphonies. I remember my teenage self being extremely taken with Rubbra's music, but until recently I had had very little exposure to Rubbra's choral music. 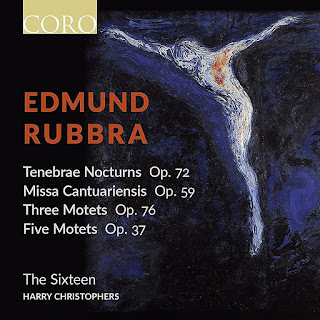 A new disc from Harry Christophers and The Sixteen on Coro remedies that with performances of the Tenebrae motets, Three motets Op.76, Five motets Op.37 and Missa Cantuariensis Op.59. Edmund Rubbra was a pupil of Holst and of RVW and a friend of Gerald Finzi, but Rubbra's music has remained somewhat on the back-burner and has not developed the prominence that the music of these others came to possess. Partly that is because Rubbra himself never helped things along, but perhaps also because there is a certain contrapuntal seriousness to his orchestral music. Just as the man did not attempt to sell himself, so his music takes a degree of concentration to appreciate it. Despite Rubbra's love of counterpoint, much of the music on this disc is quite the opposite with a surprisingly amount of near homophonic writing. It is sober, sombre and serious, rather intent, but it is the harmony which strikes you with its fluid harmonic shifts. Though the music is tonal, he takes quite a distinctive route and with all the enharmonic shifts, creates something rather fluid. In fact, in some of the motets you feel the spirit of Gesualdo lurking over Rubbra's shoulder. Another factor in Rubbra's sacred music is that in 1947 he converted to Roman Catholicism, and his faith seems to have imbued his music. 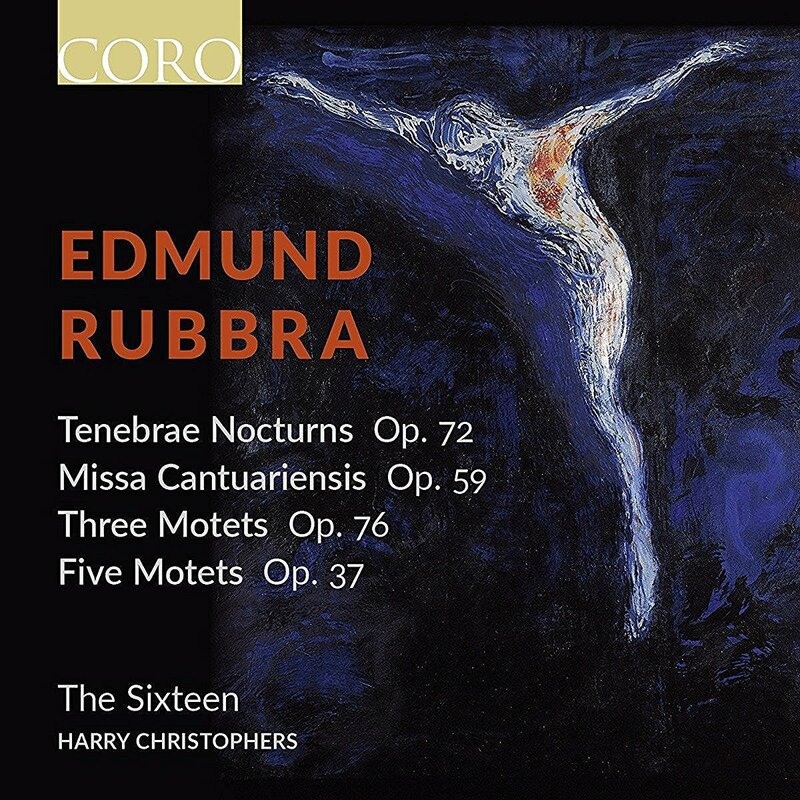 Rubbra's Tenebrae motets were written in three groups between 1951 and 1962. 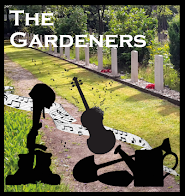 Rubbra takes a sobre view of the dramatic texts, creating real intensity in the music. There is drama, as in 'Ecce vidimus eum' and seductive textures as in 'Amicus meus' but the overall feel is of the darkness of the material. And Rubbra uses the flexibly shifting tonality to distinctive effect. 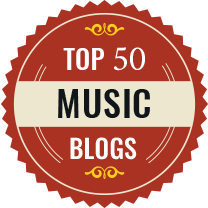 Overall there is a real sculptural quality to the music. The Third Nocturn of the Tenebrae motets is the latest group to be written and combines intensity with a real spareness and spikiness of harmony, and he familiar harmonic shifts make 'Seniores populi' rather magical. 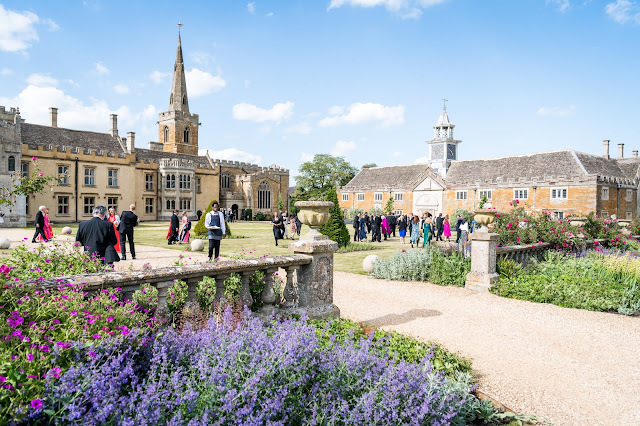 Rubbra's Three motets, Op.76 were written to mark the 250th anniversary of the Friends of Saffron Walden School. Despite the richness of the harmonies, 'Let us know praise famous men' is surprisingly sombre considering the text, But he creates some magical textures in 'There is a spirit' where the choral harmonies are combined with a lovely, chant-inspired solo from soprano Julie Cooper, and the same choral textures continue in 'Except the Lord build the house'. The Five Motets, Op.37 are relatively early works dating from 1934. The sculptural quality appears in 'Eternitie' combined with some magical textures, whilst 'Vain wits and eyes' has an attractively polyphonic complexity of texture, sung here with great transparency. 'A Hymn to God the Father' combines rich harmony with a sense of concentrated intensity. In 'The Search' there is an austerity and real edge to the harmony, which complements the spare textures. 'A Song' is quietly considered. The largest work on the disc is Missa Cantuariensis Op.39, written for Canterbury Cathedral in 1945. It is the largest of Rubbra's five mass settings and uses a double choir, and the composer requests the two choirs be spacially separated. The 'Kyrie' uses long sustained lines to create a sense of suspended time, and the 'Responses' (part of the 1928 rubric based on the Book of Common Prayer) are beautifully crafted. The 'Credo' adds in the organ and uses a great deal of choral unison, often alternating high and low voices, two cantors Jeremy Budd and Eamonn Dougan. From the writing, I did wonder whether there was an expectation of congregational singing. The 'Sanctus' returns to unaccompanied singing, giving us a beautiful clear texture, with a 'Benedicturs; which develops powerfully from a simple melody. The 'Agnus Dei' uses canonic devices to create a richly appealing texture and the 'Gloria in excelsis' (at the end according to the BCP rubric) makes a brilliantly bravura conclusion.